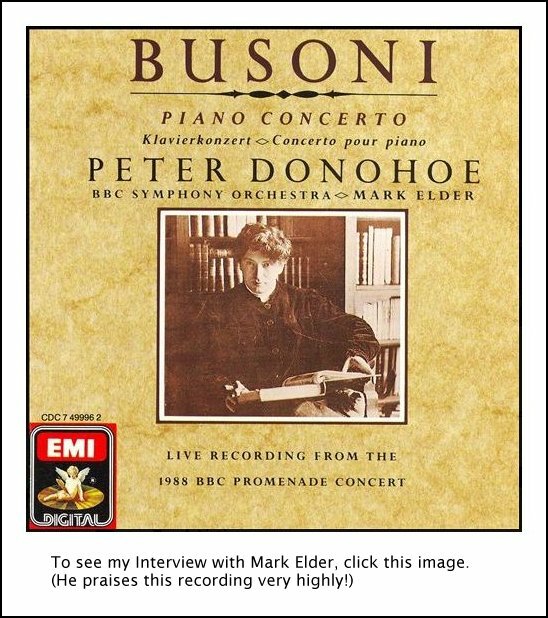 Peter Donohoe Interview with Bruce Duffie . . . . . . . . . 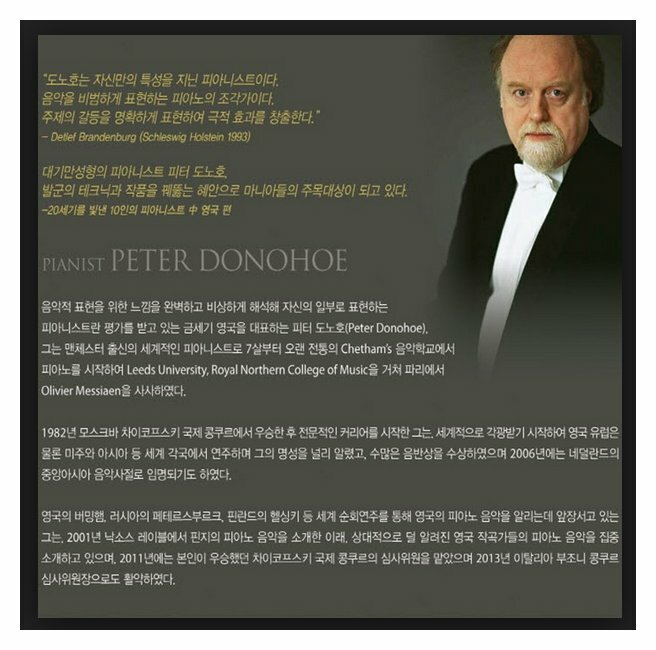 In the years since his unprecedented success as Silver Medal winner of the 7th International Tchaikovsky Competition in Moscow in 1982, Peter Donohoe has built an extraordinary world-wide career, encompassing a huge repertoire and over forty years’ experience as a pianist, as well as continually exploring many other avenues in music-making. He is acclaimed as one of the foremost pianists of our time for his musicianship, stylistic versatility and commanding technique. 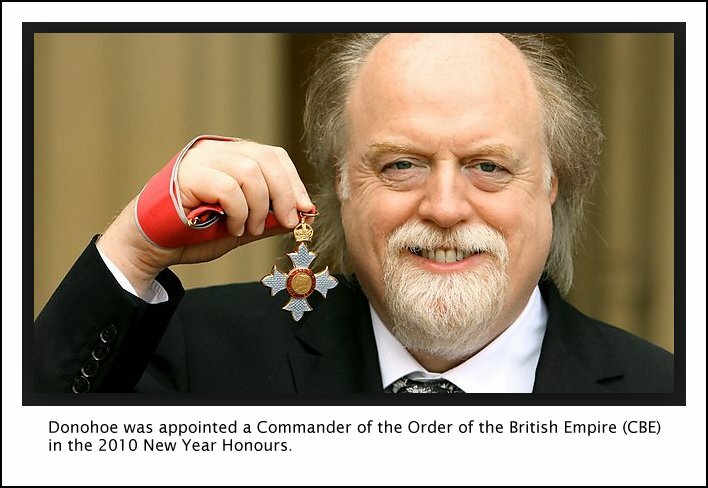 Peter Donohoe played with the Berliner Philharmoniker in Sir Simon Rattle’s opening concerts as Music Director. He has also recently performed with all the major London Orchestras, Royal Concertgebouw, Leipzig Gewandhaus, Munich Philharmonic, Swedish Radio, Orchestre Philharmonique de Radio France, Vienna Symphony and Czech Philharmonic Orchestras. 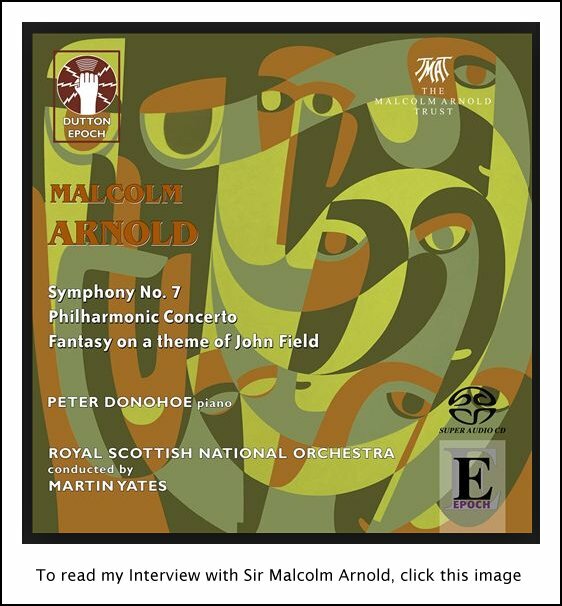 He was an annual visitor to the BBC Proms for seventeen years and has appeared at many other festivals including six consecutive visits as resident artist to the Edinburgh Festival, eleven highly acclaimed appearances at the Bath International Festival, La Roque d’Anthéron in France, and at the Ruhr and Schleswig Holstein Festivals in Germany. In the United States, his appearances have included the Los Angeles Philharmonic, Boston, Chicago, Pittsburgh, Cleveland and Detroit Symphony Orchestras. Since 1984 he has visited all the major Australian Orchestras many times, and since 1989 he has made several major tours of New Zealand with the New Zealand Symphony Orchestra. He has also made a highly acclaimed tour of Argentina with the National Symphony Orchestra of Venezuela. He has worked with many of the world’s greatest conductors including Christoph Eschenbach, Neeme Jarvi, Lorin Maazel, Kurt Masur, Andrew Davis and Yevgeny Svetlanov. More recently he has appeared as soloist with the next generation of excellent conductors such as Gustavo Dudamel, Robin Ticciati and Daniel Harding. 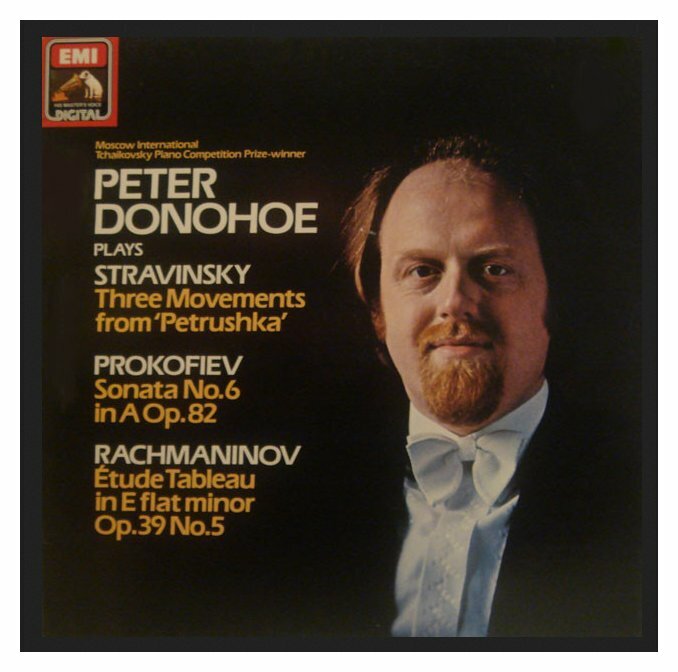 Peter Donohoe has made many fine recordings on EMI Records, which have won awards including the Grand Prix International du Disque Liszt for his recording of the Liszt Sonata in B minor and the Gramophone Concerto award for the Tchaikovsky Piano Concerto no. 2. 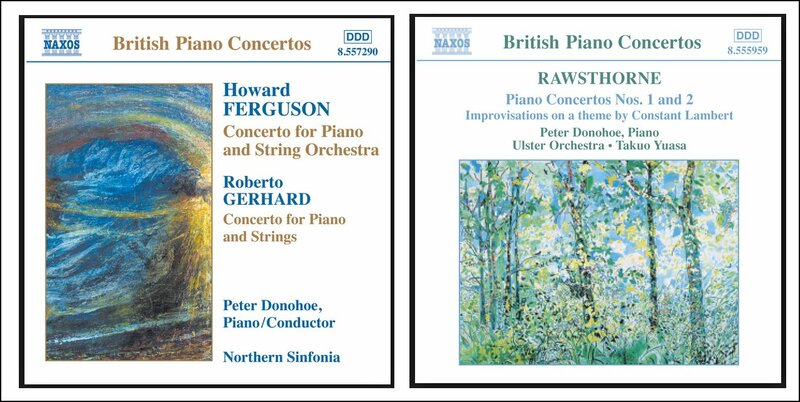 His recordings of Messiaen with the Netherlands Wind Ensemble for Chandos Records and Litolff for Hyperion have also received widespread acclaim. 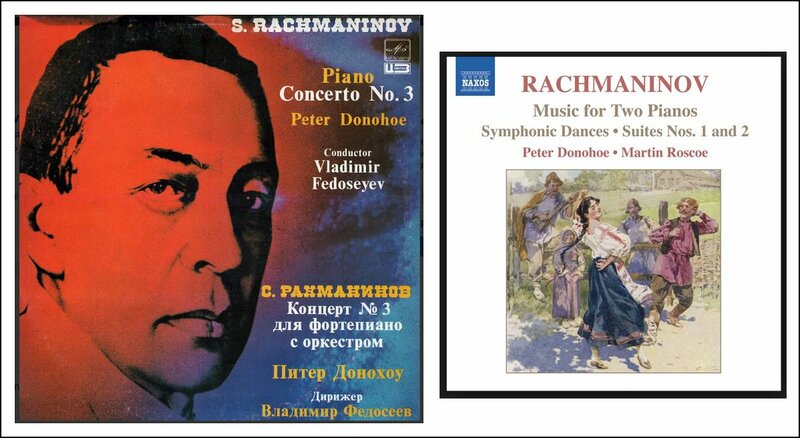 His recording of the Brahms 1st Concerto with Svetlanov and the Philharmonia Orchestra was voted best available recording by the US magazine Stereo Review [shown at left]. He studied at Chetham’s School of Music for seven years, graduated in music at Leeds University, where he studied composition with Alexander Goehr, and the Royal Northern College of Music, studying piano with Derek Wyndham. He then went on to study in Paris with Olivier Messiaen and Yvonne Loriod. His prize-winning performances at the British Liszt Competition in London in 1976, the Bartók-Liszt Piano Competition in Budapest in the same year, and the Leeds International Piano Competition in 1981 helped build a major career in the UK and Europe. Then his activity in the competitive world culminated in the International Tchaikovsky Competition in Moscow in 1982, which shot his name into world-wide prominence. 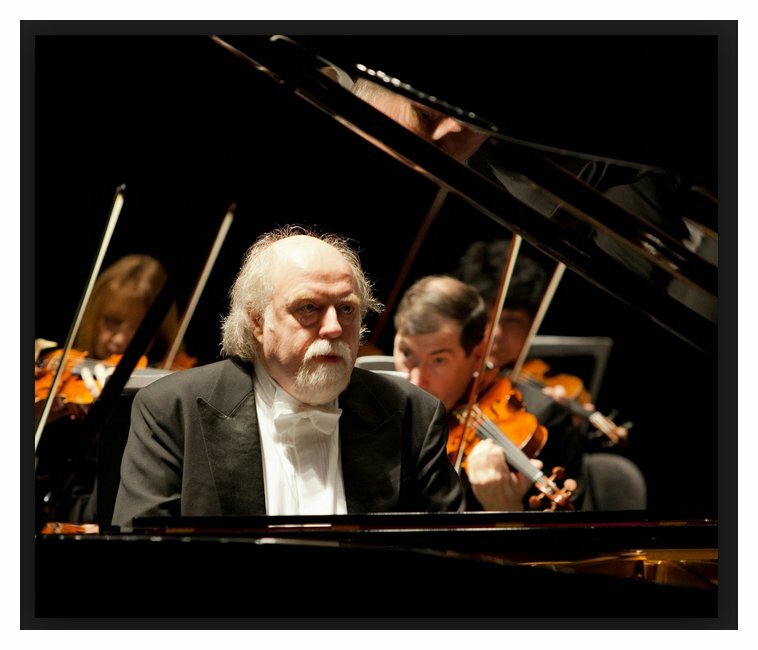 In June 2011 he returned to Moscow as a jury member for the 14th International Tchaikovsky Competition. -- Text of the biography taken from the artist’s website. 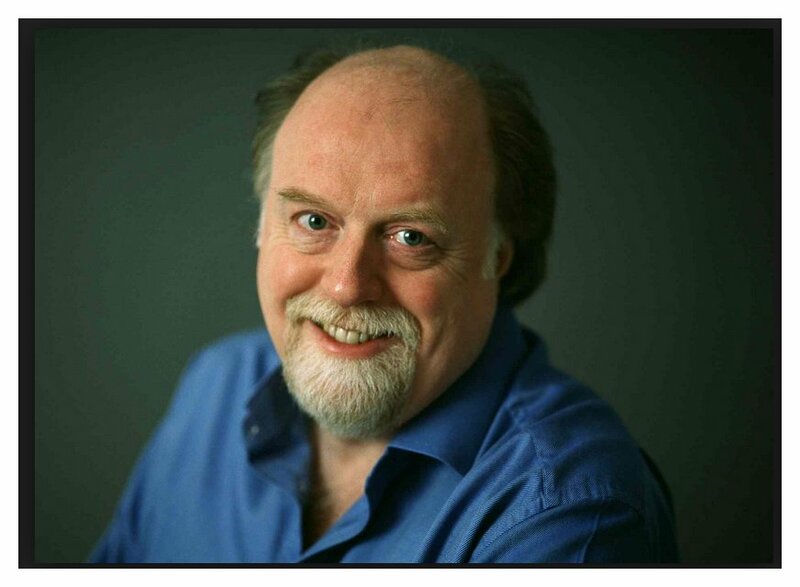 In October of 1998, Peter Donohoe visited Chicago again, and I had the chance to spend a delightful time with him discussing music in all is varied forms. Here is that conversation . . . . . . . . .
Bruce Duffie: Is all your work done in rehearsal or do you leave something for the spark of the night of performance? 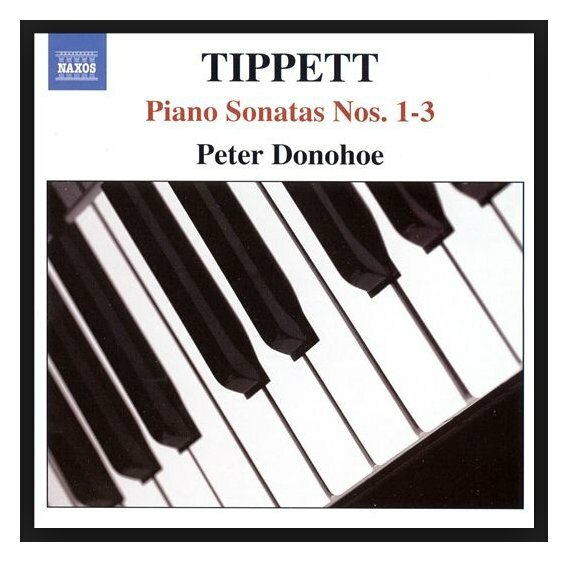 Peter Donohoe: It’s very hard to be very specific about it, and there’s a variety of different patterns depending on the music. With music that the people with whom I’m playing are not totally familiar, it’s as well to do more in the rehearsal. If you’re talking about familiar repertoire — popular repertoire — then it will suffer from the same old problem, which is sometimes we play things too often, and it’s rather a good idea to leave something for the concert in that case. Then everybody finds something they didn’t even know was there. I’ve just had an experience of doing the whole cycle of Rachmaninoff concerti in Birmingham (England) with the City of Birmingham Symphony Orchestra. It was, in fact, the that last thing I did before coming to Chicago — the night before coming to Chicago! I just played Rachmaninoff’s Fourth that night, and, of course, with the Rachmaninoff what’s really interesting is that two of them are so popular and the other two are almost unknown. To play them all with the same orchestra and conductor is revelatory, absolutely an education for everyone involved, including the audience. BD: Did they try to sell them as a sequence? BD: So you like doing the cycle in sequence rather than a few early and late sonatas balanced in each concert? Peter: I really do like to do that, partly because most people do it the other way. It’s rather interesting to have a difference in the way you do something. But it is not just because of that, and in fact that’s not a particularly good reason. The real truth is that what I find a revelation about cycles of anything is the understanding of the composer and his development. To do it in chronological order makes that more immediately obvious to see how the composer developed throughout his life. In the case of Beethoven Sonatas, by some fantastic stroke of luck you can make eight programs out of the chronological sequence that all work independently. BD: It doesn’t make the last program awfully heavy with Opus 110 and Opus 111? Peter: It’s awfully heavy, yes, but it’s awfully great as well. 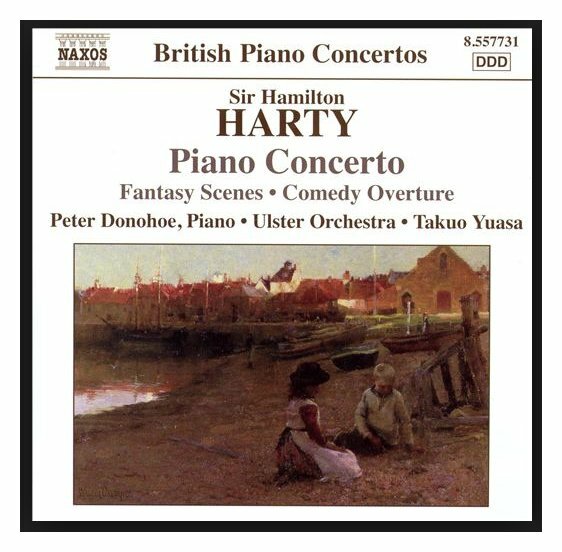 Ultimately the greatest piano music of all lands in that last program, and that makes it really an ascent to a fantastic climax. Sometimes composers mellow as they get older. Particularly in the twentieth century, that seems to have happened, so if you do a cycle, perhaps it feels as if it’s tailing off. But not in Beethoven’s case, absolutely not. He became more and more revolutionary and more and more original and daring in its thought, and so to do it like that is enormously rewarding. 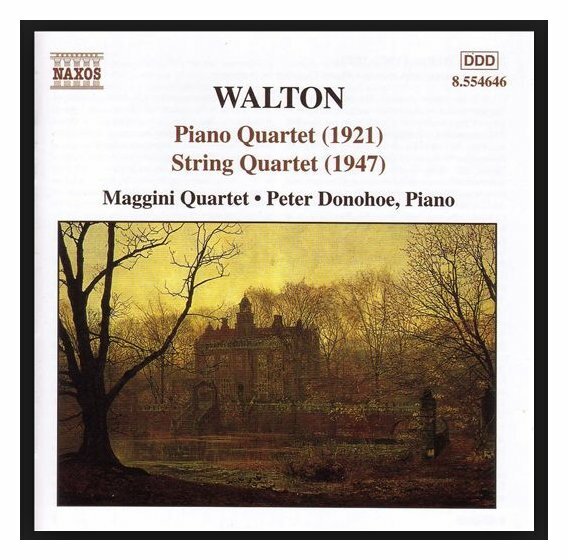 BD: Would it be good to set the piano series into another series of the string quartets in sequence? Peter: Oh, it would be wonderful to do that. But of course you could extend it even further, if you had the forces, with symphonies and piano trios and variations and all kinds of things. Beethoven produced more in so many different mediums. He’s probably the most fruitful of all from the point of view of doing cycles. BD: True! [Thinks a moment] You wouldn’t consider doing a Mozart cycle? Peter: Well, I would! Yes, I would indeed. Perhaps it’s for my later life... which isn’t so far away after all! [Both laugh] I do play Mozart. I do love Mozart. I don’t know anybody who doesn’t. My original reputation was made on big romantic music, and it’s a bit of a waste of assets in the minds of a lot of people not to use me in music like that, which means that I don’t get asked to do Mozart an enormous number of times. But when I do, I absolutely adore it. BD: Perhaps you could say you’ll do a Beethoven cycle if you could do a Mozart cycle. Peter: Well, yes, or a Rachmaninoff cycle, or Bartók. You know, composers and artists are so easily compartmentalized, particularly in the media and the record industry. 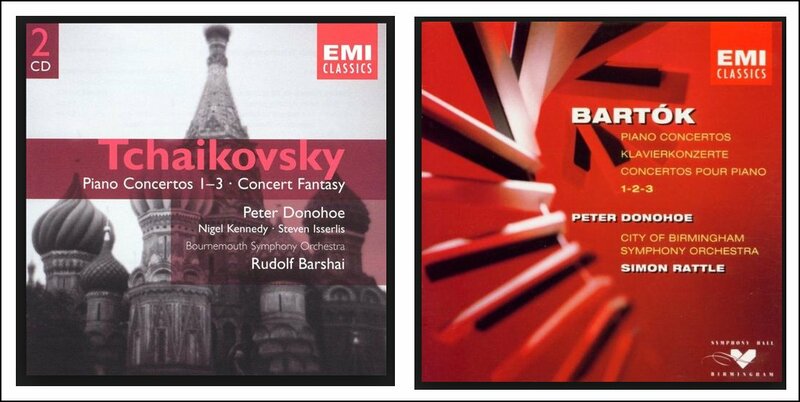 It’s sometimes very difficult to retain a broad sweep of repertoire. 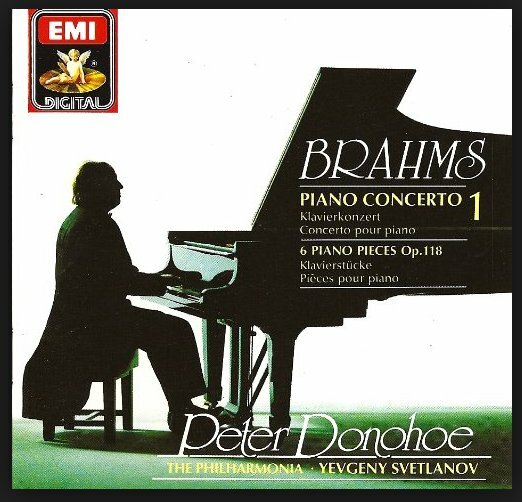 BD: How do you wish to be known — as a pianist of broad repertoire, or a pianist who does specific repertoire, or a pianist of unusual repertoire? Peter: I’d certainly don’t wish to be of specific repertoire at all. I would never countenance that in anyone else. We all have a duty to be as broad as possible because we expect our public to be so. 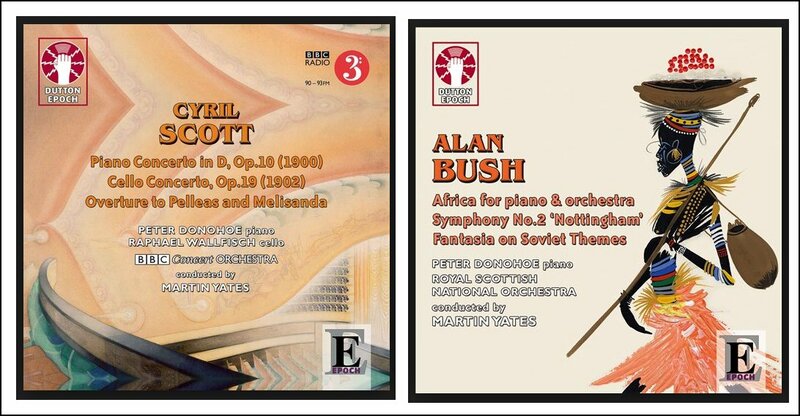 And you know the sort of contradiction of being a specialist in new music! [Both laugh] When you consider the public, we have a captive audience who are interested in listening to traditional repertoire, which is certainly world-wide. You can always get a very good audience for Tchaikovsky and Rachmaninoff and Beethoven and Brahms, and so on. So we have that captive audience. If we then expect them to be broad minded enough to listen to new music, then how can we specialize? It’s just a total contradiction. We need to have as much knowledge as we possibly can of music from all periods in order to put that experience into everything we do. BD: Well, from this huge array of literature at your disposal, how do you decide what you will learn and spend time on, and what you will leave to another season, or perhaps never get to? Peter: There are all kinds of forces involved. The very reason that you became a musician in the first place could very easily be one piece or one composer, and that will always feel like going back to an old friend. When you’re on stage, what is important is a feeling of self- confidence about the music and the ideas you are projecting, and expecting people to actually be with you. Familiarity with music from being a very young child is the first reason why you will feel like that. If it’s a relatively recent piece that you haven’t played very much, it’s very difficult to feel like that. It’s the ultimate dilemma for someone who’s been in the profession for twenty years, for example. It’s a problem to actually feel comfortable with a new piece because you are so familiar with the feeling by then of performing pieces that you’ve known all your life. You have to change your psyche really completely to do something new. BD: Do you know in advance how long it will take you to become comfortable with a piece. Peter: No! Unfortunately, not. I wish I did! Regularly I’ve looked at pieces that aren’t known, and decide that I will learn them and try to make some kind of formula and some kind of plan... and it’s always wrong. By the same token, this is not quite the same subject but it’s related to making a decision about a piece as to whether or not it’s a good piece when you first see it. I’m thinking particularly of new pieces. I always feel that it’s very important to remember in my case, in my own experience, of playing something from the traditional repertoire. I’m thinking of something quite specifically from the nineteenth century which is very popular, and which I’ve played quite a lot. For a long time I played it because I knew that I needed to get to know it better. There was something that was eluding me because I didn’t like it very much, and most of my colleagues could not understand why I didn’t like it. I kept saying to myself that I’m obviously missing something and I need to keep on performing it, and I did. BD: Did you figure it out? Peter: I found it. So now what does that say about our initial reaction to a new piece? BD: It means we need to give it more time and more exposure. BD: You used the world that I will pounce on a little bit, and that’s ‘good’. What is it that makes a piece of music — piano or otherwise — good, or even great? Peter: How many hours have we got? [Both have a huge laugh] First of all, on the one hand the reason that something becomes great in history is because of its effect and its influence on that which follows it. BD: Its effect on the history of the performing art? Peter: Yes, but if we’re talking about music, the history of the next generation of composers after the work we’re talking about. 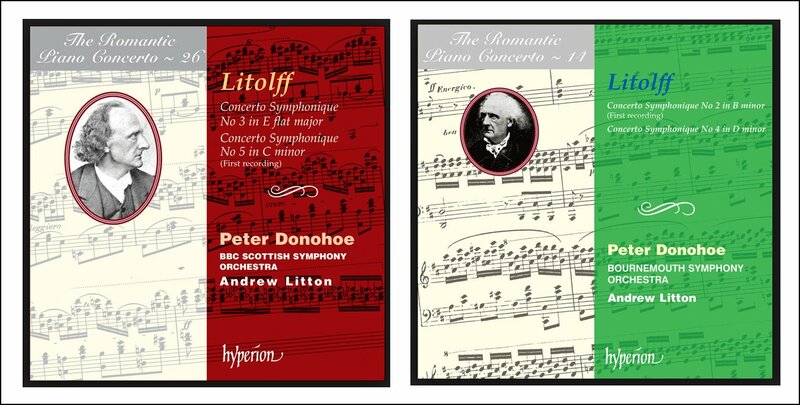 If you take late Beethoven, which is always for me the best example, the late Beethoven repertoire for all instruments had such a profound effect on the nineteenth century, and therefore on the twentieth as well. But it’s obvious that we are going to assume its greatness because of its profound influence on Wagner and Brahms, and also on Schoenberg and all the people that followed. Had Wagner not come along, and had the influence been completely different, or rather had the history of music in the nineteenth century gone in a different way, it could be that we’d look at Beethoven as a slightly odd ball because the music was so daring and the product of someone who was deaf. Therefore he could hear in his own mind so much more than we could. It’s really quite understandable that it took until quite recently for people to begin to even start to understand it. BD: Being deaf, did he somehow eliminate the practicalities of the performance? Peter: Yes, I think that’s absolutely the case. He was profoundly deaf at the time he wrote, for example, the last three sonatas and the late quartets. It could have very easily have been that without Wagner, his influence would have been much less on all of the composers. Now if that had happened, we would not think of him in the same way. So you have to remember that when you are relating other composers’ music, and deciding whether they are great or not. It’s to do with what followed so often. BD: Is it specifically Wagner that was the next step, or was it just something that was in the air, and if it hadn’t been Wagner it would have been someone else maybe a few years later? Peter: It wasn’t only Wagner. It was just that Wagner had the most profound influence of all those composers on the music of the twentieth century. BD: But it seems like we get the same kinds of ideas emanating from different parts of the world independently. So there must be something in the air perhaps. Peter: Yes, that’s another way of saying that what we do as musicians or artists is a reflection of society in general, and that’s certainly true of the twentieth century and the pessimism in the music. BD: Is it a reflection or a lead? Peter: I suppose it could be a lead in some cases, but I suspect mostly it’s the product of its time. As you were saying, another way of putting it is that there is something there to be done, and somebody is going to do it. I suppose that’s the case with the development of the symphony in Beethoven’s case and the development of opera in Wagner’s. It’s going to be done by someone, but they were the people who did do it, and if someone else had done it, they may not have done it in the same way. As they all did, Wagner put the influence of his own personality into his ideas. It wasn’t just their musical gift that we’re talking about. Wagner was a megalomaniac. Had the same person with the same talent not been a megalomaniac, he would have done something else. BD: Would he have written the ‘Tristan Chord’, and would it have changed things around? Peter: Yes, and therefore Debussy would have followed his lead, and all of the implications of that. The line goes Debussy, Ravel, Messiaen, and all Messiaen’s pupils to the present day composers like Boulez and Stockhausen and so on. It all comes from there, and there is a line that you can’t escape. BD: So there is a line of composers. Is there also a line of performers? Peter: Now that’s a very good question. I suppose there must be. Yes, of course, there must be. Perhaps it’s less obvious. Perhaps it’s a little more nebulous. On the whole, and I’m speaking as I have to about myself, I suppose essentially I react to my surroundings in the same way as composers do. That is for sure. BD: Thinking about performers now, the composers write each piece, then you get the piece and you work with it. Are you putting something of yourself into each piece? Peter: Inevitably one is, and it’s absolutely essentially that you do. But what is not essential is that you try to. There’s a very big difference between your natural reaction to the music, based on your own personality and your own experience, and thinking to yourself you must make this different for the sake of it. There is actually quite a lot of that about, and it’s a real shame. We’re all different people anyway, and what we should do is respond to the composer as honestly as we can. Making the music the most important thing, and we must project that music with as much faith as we possibly can to the people who come to listen to it. We should not say to ourselves, “I’m going to be different; I’m going to have an ego trip on the strength of this music and all that is implied there.” The fact that you playing it is never more important than the music, and never can be. BD: So you are always delving to see what you can find in the music? Peter: Yes, I suppose I am. BD: And you will find different things than any other pianist? BD: Is this one of the things that determines whether or not you will study a piece — if you see lots of things you can delve into, rather than just being a more shallow piece, or a less dimensional piece? Peter: To answer the question calls for me to make value judgments on the music. BD: You don’t make a value judgment on each piece you play? Peter: It would be impossible to say no, but it’s not a bad ideal. No, you can’t avoid making the value judgment on something. Of course you can’t, but you should avoid it and try to remember that you’re not in a position to make decisions about it. First of all, in particular, you don’t know the piece yet, and secondly, as I was saying before, you’ve got sufficient experience of the music to know that you’ve really gone as far as you can from the point of view of exploring the different types of music. That’s another ideal, which you can’t really achieve, but it’s a good one to have in your life. BD: I’m sure that after your hundredth performance of something you might say you still don’t really know it. Peter: Absolutely you can. 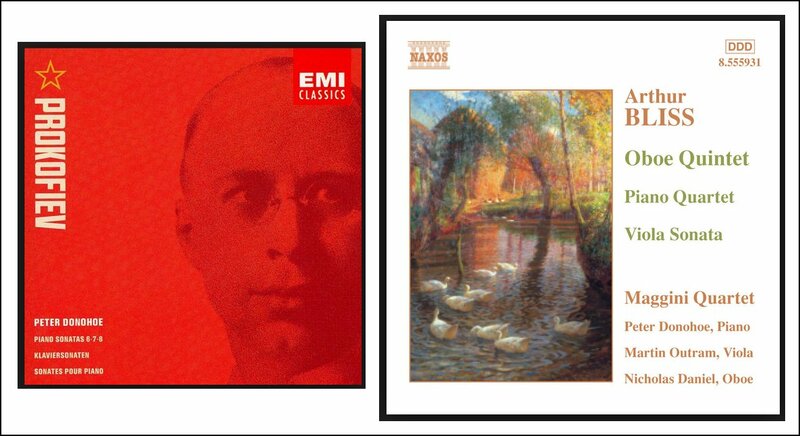 Let’s take one of the major great works of our traditional history of western European music. For example, in my case I believe Brahms’s Second Piano Concerto to be one of them. Say someone has been playing that for forty years and still knows that there is more to delve into, there’s more to explore, there’s more to think about. On the other hand, the very same person will receive a new piece in the post from a young composer and look at three lines of it and say, “Oh that’s no good!” And it’s not right, is it? It can’t possibly be right. On the other hand, there are only a certain number hours in the day. You can’t possibly hope to be fair to everybody. I just wish more of us would be, and perhaps young composers would have a chance. BD: What advice do you have for the composer who wants to write for the piano, either solo or concerto? Peter: Learn how to play the piano. That’s the first thing I would say. That may sound silly but it’s regularly said by particularly members of orchestras that they’re given material to play which isn’t actually based on any experience of the instrument, and therefore it’s impractical. It’s very largely true of a lot of European composers at any rate. I may be doing American composers a disservice by including them in the same bracket, and of course there are exceptions anyway from all over the world. But there is definitely a tendency for composers to be separate from performers. That is something which was absolutely not the case a hundred years ago. It’s a twentieth-century phenomenon, particularly. The last great performer-composer, at least on the piano, was Rachmaninoff. I can’t think of anyone since. It’s a very, very big difference if you’re a composer if you’re not actually playing your music and expecting someone else to. It’s interesting to me that Rachmaninoff, for example, felt deeply insecure by the side of other pianists playing his music, and constantly said that Hofmann and Horowitz and so on would do far greater performances of his music than he did himself. I think he did himself a disservice by saying that. BD: Maybe he was just trying to be encouraging to those others... [Both laugh] You get scores thrown at you all the time. Where is piano music going these days? Peter: I wonder if the pattern repeats itself. 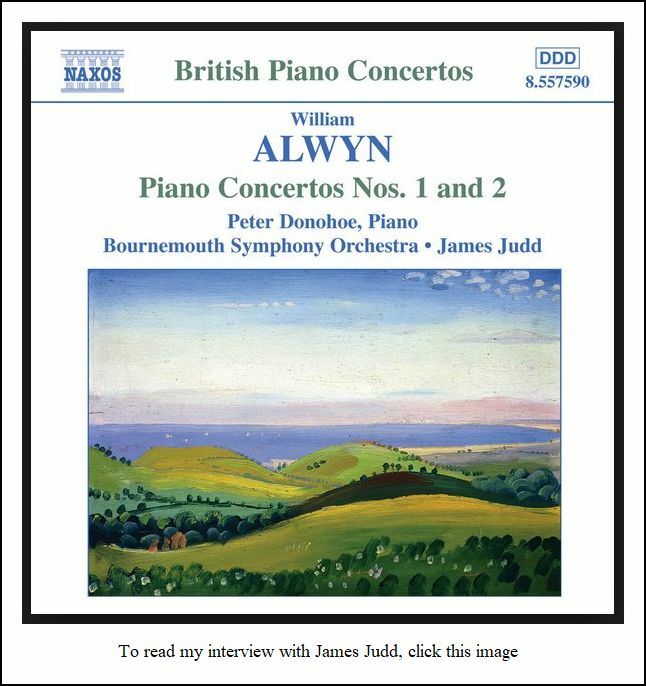 I’m not that old, but for about two decades I’ve sort of felt that modern composers were beginning to lose touch with the natural fluency with which composers prior to the recent period were able to write for the piano. I sometimes wondered if that was because the piano is so obviously physically a tonal instrument. The layout of the keyboard is very specifically tonal, whereas with a violin there isn’t a layout. There’s just a finger board, just as an example, and so perhaps it’s easy to be freer for them. But then suddenly you come across a single composer who seems to be able to do it. We have one from England called George Benjamin, who is particularly fluent with the piano without being unoriginal in any way. In fact, he is extraordinarily original and incredibly precocious and talented. Then there’s Lutosławski’s Piano Concerto, which seems to me to be one of the great masterpieces for the piano of the post-Second World War era. It’s just fantastic, and suddenly it feels like it’s very natural to the composer to write fluently for the instrument without being tonal, without being unoriginal. It’s incredibly exciting music, and it’s a great discovery. BD: Does it please you that we seem to be coming back to this tonality, to a cohesion, to a consonance? Peter: That depends on how it’s done; that in itself is irrelevant. Whatever the tonality is in itself, it can’t be taken in isolation. It’s the material that goes into it. I suppose I’m getting old, and I tend to feel that the music of the 1960s — which was extremely shocking and revolutionary at the time, in parallel with rock music and the hippy era, and all that — had more to say than a lot of the music of the present day. But there were plenty of exceptions then, and there are plenty of exceptions now, so perhaps it’s an unfair judgment. In another ten years we’ll be able to look at the 1990s and 1980s and see high points and major voices emerging. The theme of what we’ve been saying, right the way through, is so much of this is impossible to really have any idea about until much later. BD: We need time to put a perspective on them? BD: We’re kind of dancing around it, so let me ask the easy question. What is the purpose of music? Peter: [With mock horror] That’s an easy question??? Does it need a purpose? BD: Do you find a purpose? Peter: Not a very profound purpose, no. Maybe it is human activity and the exploration of the emotions. I suppose those are things to live for. What you’re really asking is, is there a point in having a culture? It’s actually a pertinent question, a very topical question, particularly in the United Kingdom at the moment because we have had something of twenty years of a gentle slide into a total lack of culture; culture being completely unimportant. This is the era in which financial gain has become really the only important thing. We now have a society which is realizing that that is really very fruitless. I know a number of people who made lots of money during that period, and they feel very frustrated because they’ve got nothing to do with it. All they’ve succeeded in doing is getting a larger house than the guy next door, or a bigger car, or two cars, or whatever it may be. BD: So now they’ll come back to culture? Peter: Well, I hope so. I think there are signs that things are going to change. Now, in a way to answer your question about the purpose of music, it’s what we live for as a whole. If we’re talking rather nebulously about the whole of culture, that is what we live for. Quite what it is, and how much of it we should live for, and how it should be done is a very complicated question. Of course, there are no real rules. That’s the truth. Everyone is different, and everyone’s reaction is different. One of the most important things about it is that it reflects everything. It’s not that we just have the job and the money-making, and we have a little bit of culture at the end of the day to relax. That’s not what it’s about! It’s everything. It should be and can be mingled in with the job. It’s what the job is for. It’s the same with science; it’s the same with languages; it’s the same with athletics or anything you like, anything that people do that becomes a vocation. I’m just thinking about the role in everyone’s life, and how we have tended over the particularly in the USA and the UK. Both countries have been rather guilty in the last twenty years of undermining it, and assuming that it’s some kind of luxury, and making it into a luxury in fact. BD: It is then the responsibility of artists such as yourself to keep it going through the dark age into the age of enlightenment again? Peter: One can only hope that we can, but the only people who can really do it are the governments. They’re the ones in this country who have removed the importance of education... and I don’t mean education in music or anything specific. I mean ‘education’ and the importance of it in people’s lives. The fact is that people should and need to keep their happiness when they’re older. They need to be conditioned not that just making money and being better than someone else from that point of view is not going to make them happy when they’re older. It’s like an old cliché to say that, but it’s absolutely true, and it’s very obvious from some of the people I know or know of that it hasn’t worked. Okay, they’ve got a lot of money, but you can see they are miserable; you can feel it. BD: [With mock horror] You mean, money doesn’t buy happiness??? Peter: I’m afraid it doesn’t! [Both laugh] We do have proof of that within the music profession. We have gigantic fees going into the pockets of some people, and you can see in their faces that it doesn’t make them happy, because it doesn’t. What would make them much happier is the knowledge that they’ve shared something, that they’ve shared not money but their music. Peter: Shared their culture. I sound like a priest and I don’t mean to. I know that it’s a cliché, and I know that people have been saying it for years, and a lot of people don’t take any notice. It’s a bit of a generalization as well, but basically it’s true. BD: There’s a reason that clichés are clichés! BD: Let me change the topic just a little bit. You come on stage and there’s the instrument in front of you, and you start to play. Are you playing an instrument, or does that instrument become part of your being? Peter: In an ideal situation it definitely does become an extension of oneself, and perhaps three or four times a decade that might happen. Peter: It’s very important that we as artists know that it’s very rarely as good as it might have been, as a purely practical consideration. There are all sorts of influences on a performance which detract from it. In the case of a particular soloist, it could be what you eat, it could be how you feel, if there’s any traveling. It could be all sorts of health things that can get in the way. If you play the piano, what’s incredibly important is that state of your muscles, which could be affected by temperature and by jet-lag, which is a very pertinent problem with the performing arts because almost all of us are either very nationally limited or we’re very jet-lagged! Peter: Oh, I do like traveling very much. I’m not very good with jet-lag. I never was. I’m quite happy to come to the USA because it’s not a problem, but going back to Europe from the USA is a nightmare! BD: So stretching the day out is all right but compressing it is not? Peter: Yes. In my case it’s a serious matter, and I just know that I’ll be up all night for something like ten days when I get back. BD: [Knowing this not a helpful suggestion] Can’t you just continue going west? Get some engagements in Japan! BD: [Pressing the comedy] Get your agent to insist on that! Peter: ...because people would feel short-changed who’d come to some of the other concerts. That is the way one ought to feel as an artist. It’s important to have something to strive for that is only attainable very rarely. BD: Do you feel at all awkward if you’ve given a performance that you know was perhaps not your best, but someone comes back and says it was transcendent? Peter: You get used to feeling awkward. One has to be a little bit sanguine about it as well, and be practical. If your performance at its worst gives people pleasure, then there’s no point in being depressed or awkward about it. If they have enjoyed that performance, the fact that you may or may not think that you could have done better is your business, and it is not something to impose on everyone else. It’s quite an arresting thought that some people maintain a standard of performance above a certain level that they never drop below, and other people go from one extreme to another depending on how they feel. That is a reflection of their emotional being, the level to which they’re highly strung. I’m very glad that I’m not one of those extremists. I would like to think that when I was really feeling lousy and I was off form that it was still going be worthwhile listening to. It’s very rewarding actually when somebody does, and I’m talking about the ones who genuinely mean it. When somebody comes back saying that they had a good time at the concert and it meant something to them, if you know or felt it didn’t deserve that kind of praise, then just keep that to yourself. It’s no reflection on them. It may of course also be influenced by this rather disconcerting fact that sometimes you did well and you didn’t, and vice versa. That’s something we all have to remember. BD: So you may, in fact, be the worst judge of it? Peter: You’re a fairly bad judge of it when you’re playing yourself, yes. Even when you’re recording, you’re a fairly bad judge. Even when you have that opportunity to go into the recording room and listen back, you’re not the best person to ask. BD: That’s why you have producers? BD: Do you play differently for the microphone than you do for live audiences? Peter: I try not to but I think we all do. When you’re recording, it’s very important to try and energize yourself to the degree that you are energized for the performance. It’s very difficult to do that because one of the most important influences in performance is nerves. It’s actually a very positive influence as long as you keep it under control and you have a performing instinct. Those nerves are very difficult to reproduce in a recording studio. BD: Are there tricky passages that you would like to lay down and drop in? Peter: I’d love to be able to do that but I wouldn’t really be able to live with myself if I did it. In any case, it’s a much more difficult to achieve with a piano. You do actually try to get the venue to get a piano that’s suitable. There are other reasons why it’s not an easy question to answer as to what is the right thing to do in the recording. One of the biggest dilemmas one has to face is that there is some music — for example, by someone like Liszt — which really isn’t actually possible. What he actually wrote is so extremely virtuosic that all anybody can do is get close to it, and that is what he intended. That it’s an extreme of virtuosity, which if it is in entirely right actually loses something. Now how you record that is one of the big dilemmas, because it is possible in a recording studio to get all those notes perfectly. BD: Does the recording that has been pieced together set an impossible technical standard to duplicate anywhere else? Peter: It certainly does, yes, and it’s not an honest result in fact, and the music’s lost something in the recording. BD: Do you feel you’re competing against your recordings, or recordings of other pianists? Peter: [Thinks a moment] I suppose if I think about it, then I am in other people’s minds. I don’t feel that I am, no. I certainly don’t, but I suppose it’s quite a good idea to remember what other people are likely to be thinking. At any rate, it would be a mistake on the part of a music lover to compare a live performance in any way, shape or form with a recording because we all produce different results in recordings. It’s a different art form in a way. You’re making a document when you record. It’s a snap shot of the way you felt that day about that piece. Even though it’s a natural assumption to make to go to a concert ten years after somebody made a recording and expect it to sound the same, that person’s changed his mind. Most of the people I know change their mind as soon as they’ve made the recording. They want to do it again the day afterwards. When they’ve had a night’s sleep and got over the energy that they’ve had to expend, they think again about how it should have been done. That’s a very healthy way to feel because it does make nonsense of the idea of the expecting it to be set in stone. But actually conductors do it sometimes with soloists. If they play a particular work with me, and five years later we do it again with a different orchestra, you’re saying, “This is the way it goes here,” and they’ll say things like, “But in St. Louis five years ago you didn’t do that rallentando!” But they’re actually doing the same thing as the people we’re talking about! BD: Are they trying to be accommodating to you, thinking that you haven’t changed? Peter: I suppose, sometimes! Not all of them do this, but certainly some of them do. They think that once you’ve done it, that’s the way you intended it at the time, and that’s the way you will always intend it. And, of course, sometimes you don’t intend it anyway. Sometimes you just get slower by accident. It’s just part of the performance, and there’s nothing wrong with it, but to say to yourself, “That’s the way he plays it, so that’s the way it will always go,” is missing the point. BD: That’s the way you did it on that Tuesday, and that’s all? BD: When you’re playing, are you conscious of the audience that’s on your right? Peter: Yes, actually, very conscious. It’s always struck me as one of the disadvantages of being a pianist that the audience is to the side instead of facing you. BD: Would it be scandalous to turn the piano a different direction? 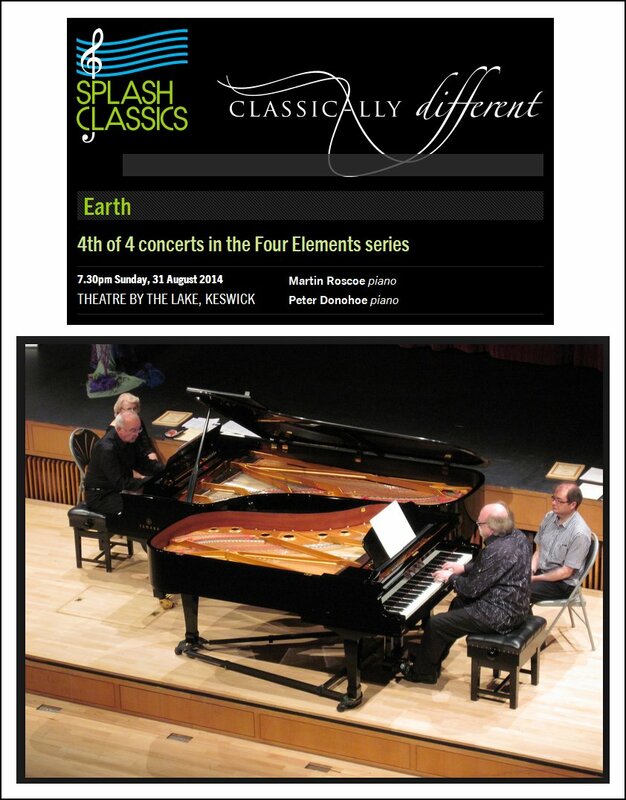 Peter: I’d love to face them, but you can’t because the piano doesn’t work that way. A cellist, the violinists, singers, and any wind soloist all have this wonderful advantage of playing to the audience, directly looking at them. It’s very important. It’s almost eye contact. It’s very hard to have eye contact with 3,000 people, but you can have occasional eye contact with occasional people, and they certainly are looking directly at you, which is a very important difference. When you’re playing the piano they see your side, and I’m very conscious of them being ‘over there’ on my right, which they usually are, although if you play two-piano music then they can be on your left! But they are never in front of you. BD: Should we have piano-in-the-round? Maybe put you in the middle with the audience surrounding you? Peter: That would be nice! That would be really good except for the people behind me! Peter: There’s no answer to it unfortunately. The piano plays sideways and you hear it from the side, and therefore it has to be like that. Liszt cultivated his profile as a visual icon entirely on that basis. Prior to Liszt, very often people did play into the audience looking over the instrument. But it’s become a tradition now, and the piano itself has developed on that basis as an instrument. BD: Are you pleased with how the instrument itself has been developed? Is it to its highest form now, or is it going to continue to be refined? Peter: It’s a bit difficult to imagine how it could be refined more. What we need to do is simply make the whole thing more efficient. I don’t mean the piano, I mean the way its serviced. I’m speaking of my own country now because I know that the tradition and the technical standard of the piano in the US is stunning. In the UK it is not, unfortunately, but it’s improving. When people ask me which make of piano I prefer to play, my answer is that I don’t really prefer any of them. I just prefer the one that is looked after well, because a great piano can be completely screwed up in six weeks if you don’t have a great tuner or a great technician as corrector. Those people are so important. Sometimes we pianists forget how important they are. Peter: Well, yes, that’s a very good idea! It’s a very difficult job, and rather like a good page turner, if they do a really good job nobody takes any notice, and if they do a really bad job they get blamed for everything. It must be very unrewarding, so it’s rather important to remember them when they do a great job. BD: You are 45 and in the midst of a fine career. Are you at the point that you want to be right now? Peter: When you’re talking about ambition, which is what that is, you have to look at it from two different angles. First of all, it’s very important to understand how lucky you are to be doing it at all. On the other hand, there is a tendency to see other people do things that you know you could do yourself and are not doing. So it’s a question of keeping all that in proportion because if you don’t have that slightly ambitious side to your nature, then you won’t strive to do more. But you must always remember that it is a human failing that no success is every successful enough, just like no amount of money is ever enough. It’s probably a very good idea to remember that it is a weakness, and we really should remember just how incredibly lucky we are. If we, as artists, think about the number of people we meet, the amount of traveling we do, the variety of what we do, the enormous artistic rewards in what we do, then it helps keep things in perspective. It’s a very dangerous road to start thinking, “I could do that, so why aren’t I doing that?” and then try to find reasons for it. You get twitchy and paranoid about it if you’re not very careful. There’s an horrific thought when it comes to the arts! A moment ago we were speaking about the idea of recordings, and to that end, music and the arts have a parallel in life from a very simple point of view. You love something, or someone, or you needn’t just like them, usually for their weaknesses not their strengths, and that’s a very important thing to remember about performance, about the music itself, about everything that we do. When it comes to recordings, as soon as you get to the point where you actually acknowledge the fact that it is possible because it’s all right, you lose something. There are many sides to that thought — for example, electronic music. I don’t specifically mean the Stockhausen-type electronics from the ‘60s and ‘70s, but I mean Bach played on a Moog synthesizer or something like that. It doesn’t matter how technically brilliant the machine becomes because people don’t really want to know. I freely admit that I’m into computers, but that has nothing to do with music. It’s a completely separate thing, and if I enable a computer to do something which previously it hadn’t been able to do, I show people — usually my wife, and women are singularly unimpressed by computers traditionally. [Has a hearty laugh] When you say, “They can do this!” what it is actually doing is something that is way beyond my capabilities. It is just that I have shown IT a way of doing something, and it does it, and the result is great, even if there isn’t a flicker of interest. The novelty dies away very quickly, and that would apply if you had robots playing music. It wouldn’t matter how brilliant it was, it wouldn’t matter what its capacity was. Try getting an audience to come and pay money to sit there listening to a machine, whatever it can do! What they want to see and hear is one of their own species doing something that they aspire to in some way. Peter: Yes, almost worshiping it; worshiping the music, worshiping the emotion that’s created at that moment. That’s what it’s really all about. I say again, we love something for its weaknesses not its strength. BD: Thank you for bringing your weaknesses and your strengths back to Chicago! Peter: [Laughs] Thank you, it’s been a pleasure. This conversation was recorded in Chicago on October 28, 1998. Portions were broadcast on WNIB in 2001, on WNUR in 2010 and 2011, and on Contemporary Classical Internet Radio in 2010. This transcription was made in 2016, and posted on this website at that time. My thanks to British soprano Una Barry for her help in preparing this website presentation.